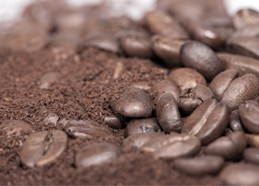 Home › Uncategorized › Ordering new coffee! We will be making a big order on Monday October 9 and it looks like it will be a dry processed Ethiopia Yirgacheffe, Kenya Tembo, India Monsooned Malabar AA, and a honey El Salvador! Look for these at Cleveland’s in a couple weeks. ALSO, we are working with the Brewery at Divot’s on coffee beers! I will let you know when something is on tap!